NewAge sees the Southern African Transform Margin as the next exciting exploration province offshore Africa, as proven by Total’s recent Brulpadda gas condensate discovery. 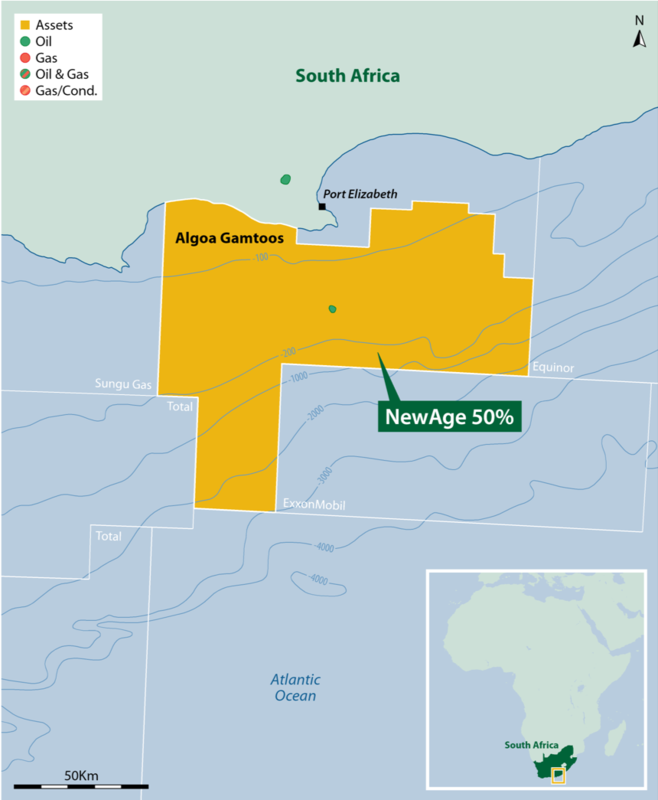 NewAge have operated the Algoa-Gamtoos licence since 2009 and collected 2D and 3D seismic over the licence. 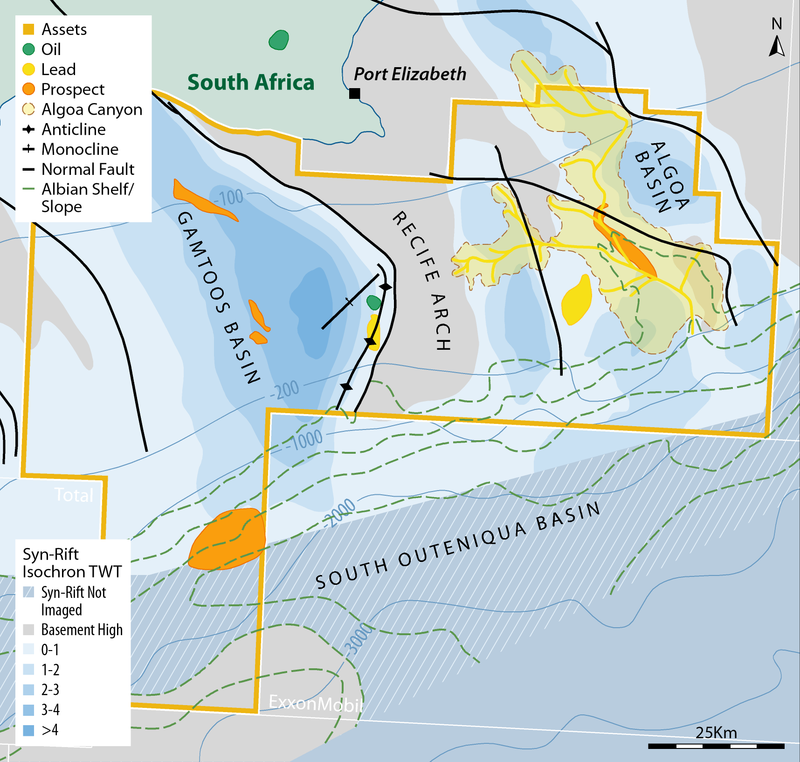 The Algoa-Gamtoos licence consists of three prospective basins, Algoa to the east, Gamtoos to the west and the Outeniqua deepwater rift oil play to the south. 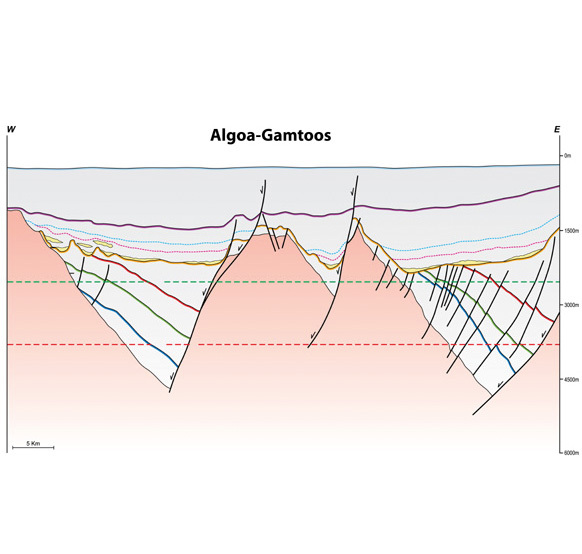 Historical exploration on the shelf proves that the Algoa-Gamtoos basins have a working petroleum system, but to fully understand and exploit these syn-rift basins more seismic data and new exploration concepts are required. In the adjacent licence, Total recently announced the Brulpadda-1AX well as a major gas condensate discovery with 57 metres of net pay. 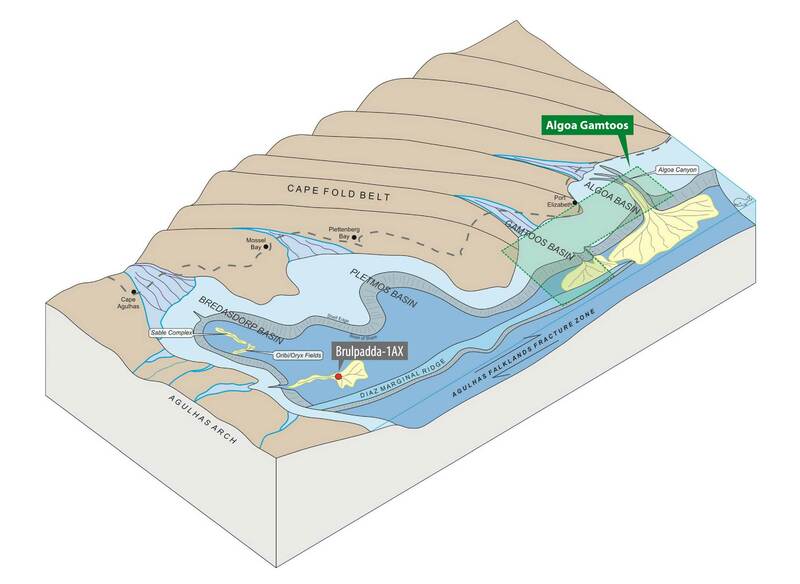 The Outeniqua Basin, where the discovery was made, extends into the deepwater section of the Algoa-Gamtoos licence at similar depths and a lead identified by NewAge in the licence is analogous to the discovery well and contributes 1.1 billion mean STOIIP of current leads. NewAge will enter the next exploration period in 2019 with a seismic acquisition programme likely and will be looking for partners to help explore this exciting block.